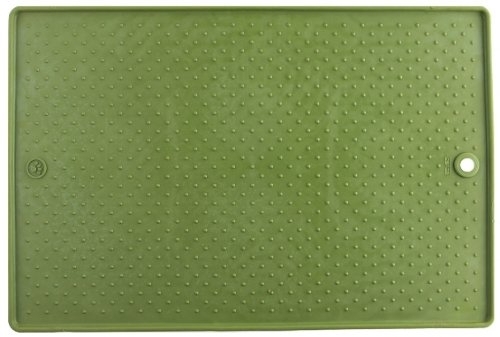 Non-slip food bowl placemats that help keep floors clean and prevents bowls from slipping. Raised edges contain crumbs and spills, while interior nibs hold dishes and bowls in place. Felxible, non-skid rubber. Great for tiled, carpeted or hardwood floors. 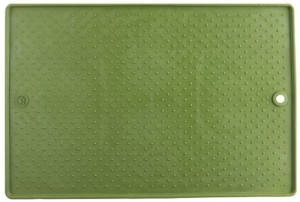 Non-slip backing prevents mat from sliding. Easy to clean.